It's Been A Year!... Post Big Chop, that is. I haven't blogged much. Been busy with many things. Work, family, moving houses, and mostly life. This life. So hard to comprehend. 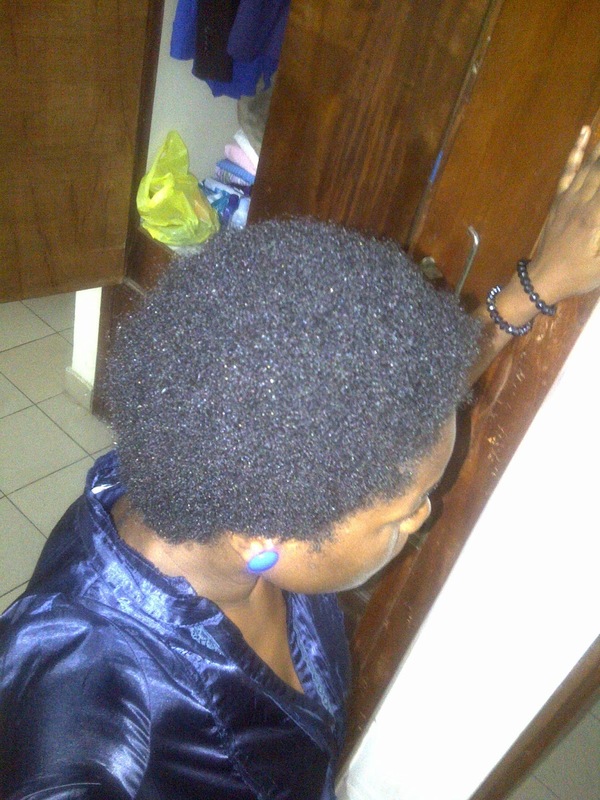 It was in October that I realised that my hair was 1 year post Big Chop in September. 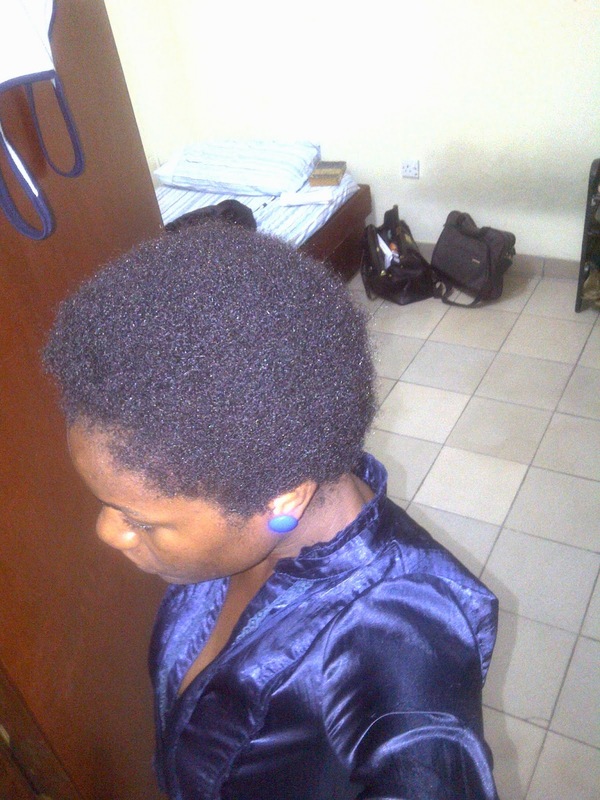 Last relaxer use was 4th January, 2012. 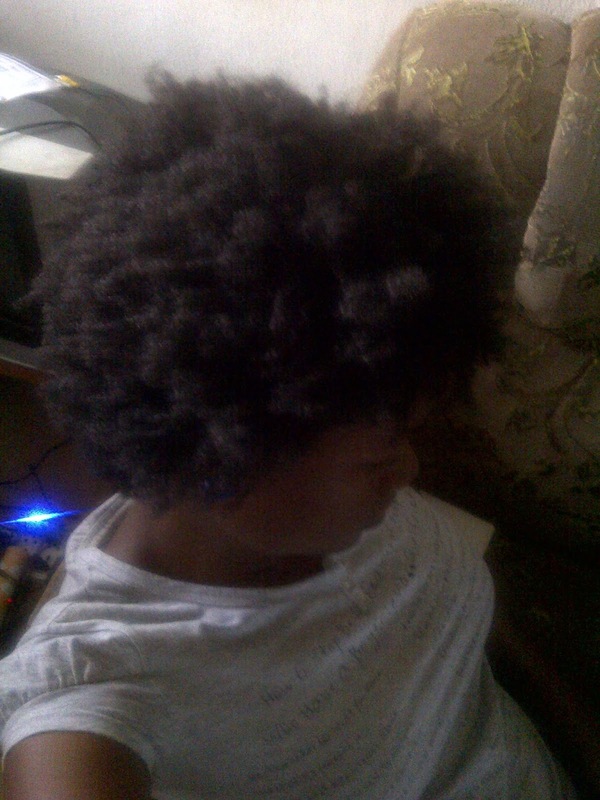 Some will say I have been natural for a year. Okay. So much have happened to this mane since that day of two frustrated different textures, a handy pair of scissors and a very eager makeshift barber. Some details of which I have documented on this blog. 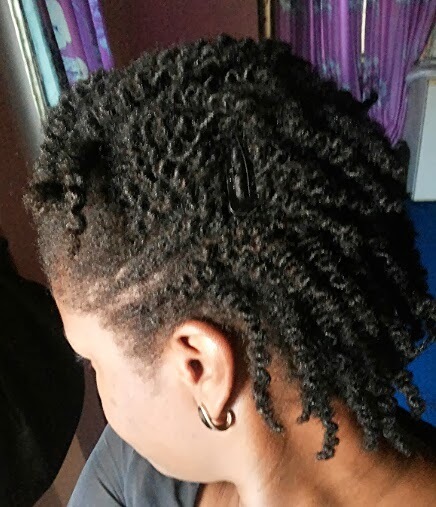 We have had MANY failed twist outs and bantu knot outs, only one successful twist out, LOTS of experimenting, success stories and wailing stories. But in all, it's been fun. 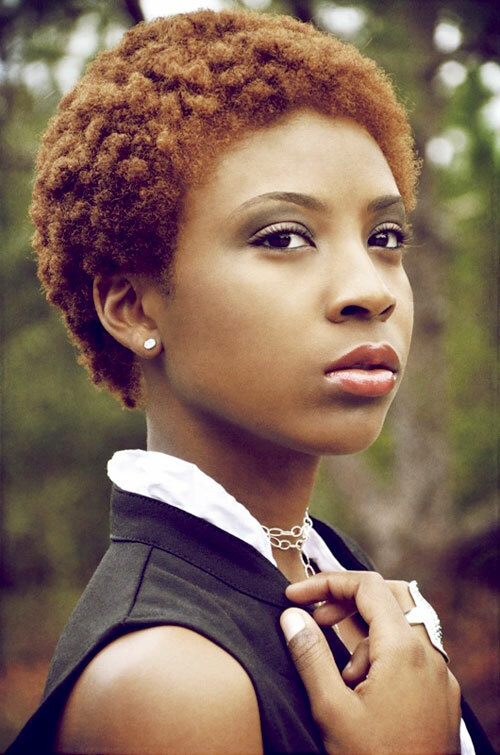 Do I regret going natural? No way! 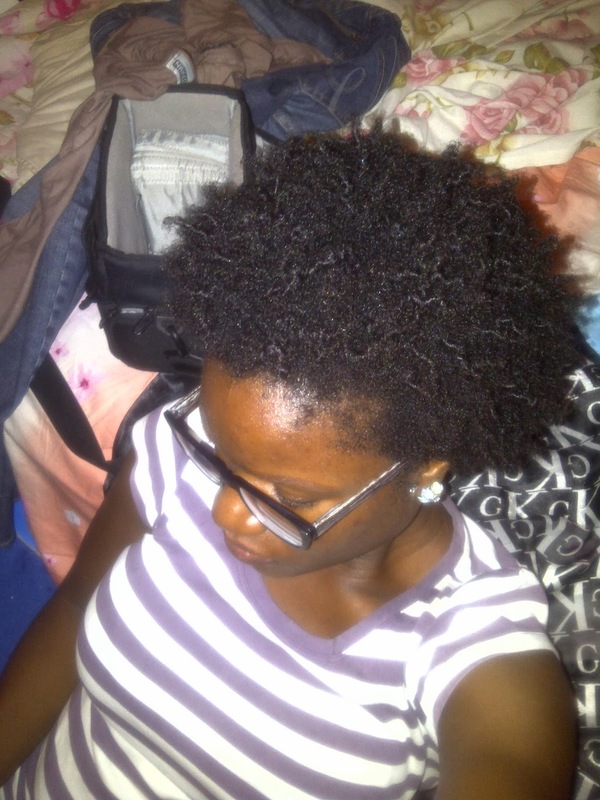 Perhaps the only regret I have right now is that I didn't go natural much earlier. Here are a too many few hair photos from the past year. 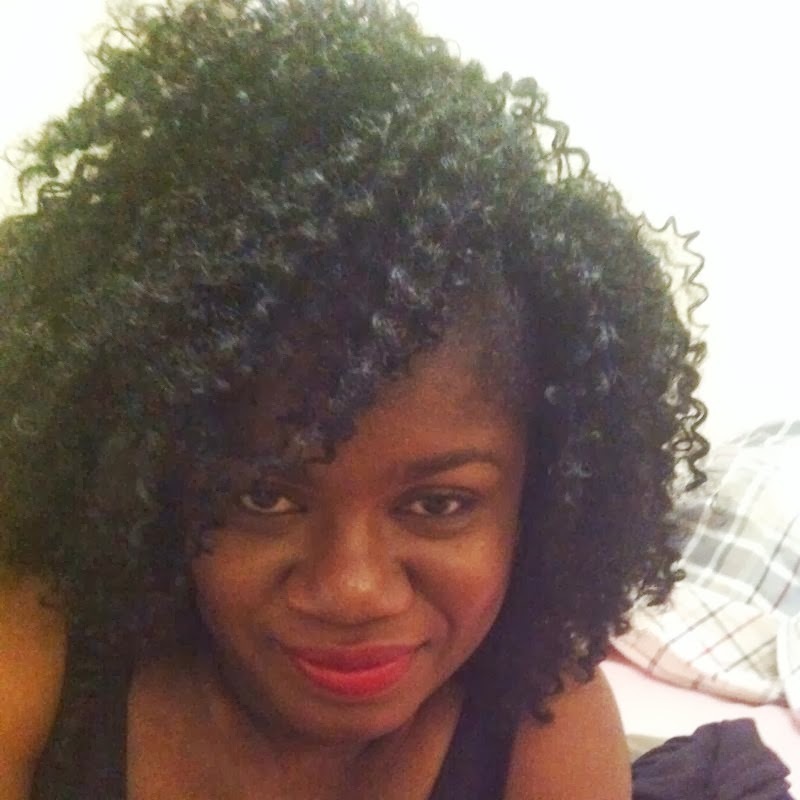 This was a failed twist out that ended up into a very agreeable style. 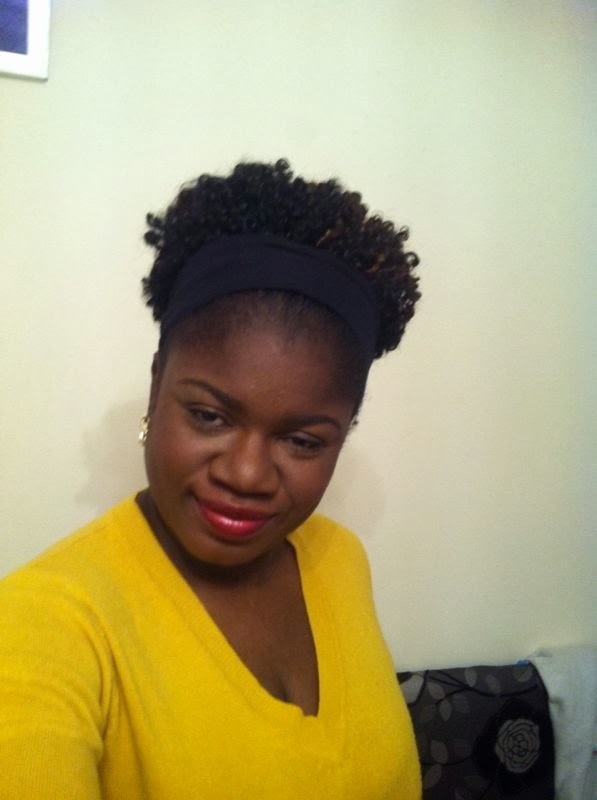 Ponytail and twist out side bangs. 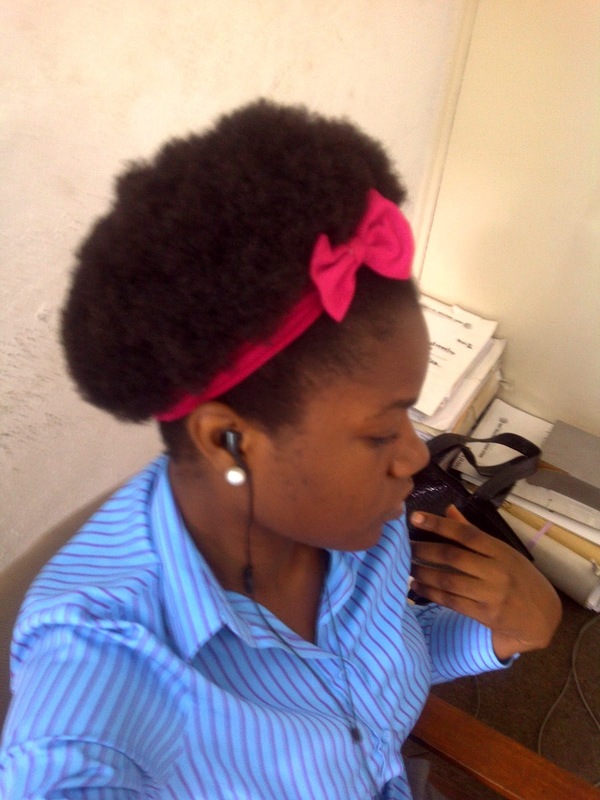 This was the first time I was able to wear a ponytail. Although all my hair could not yet achieve a ponytail. a year in and I could have a ponytail. Finally out of the awkward stage. Yaay? 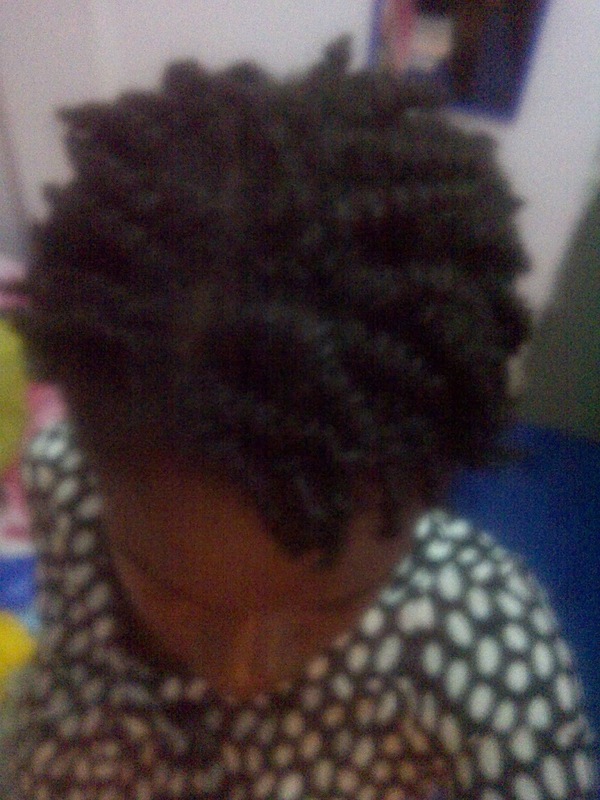 First perfect twist out that I gushed about here. Haven't been this lucky since then. I did a measure of my hair length. Front and sides are 7.5 inches, crown is 8 inches and nape is 7 inches. 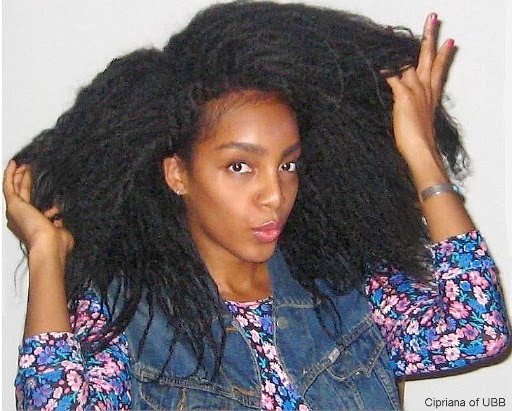 In my next year of my hair journey, I'm still all about volume, volume and did I say volume? I'm almost obsessed with it now. I'm not forgetting health and length. I think I have been able to achieve some impressive healthy hair thus far. 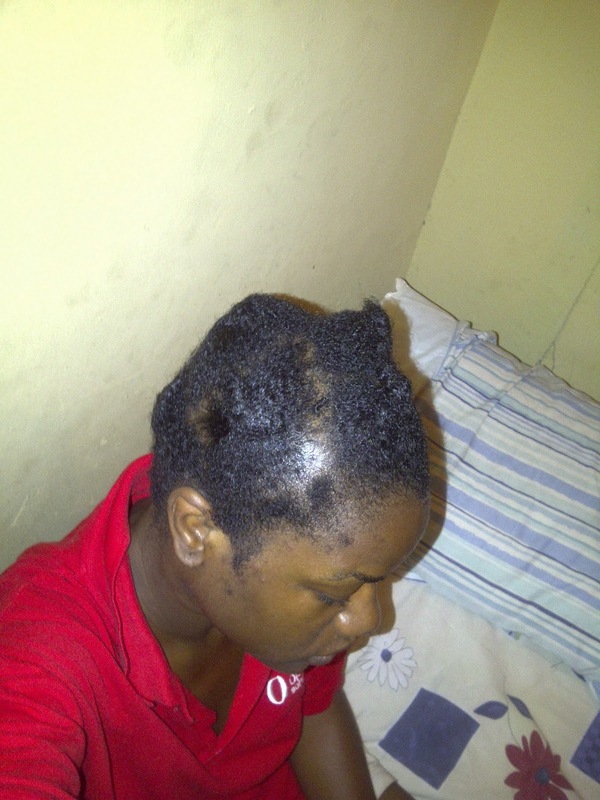 My scalp no longer itches (I strongly suspect my scalp and grapeseed oil are the worst enemies. 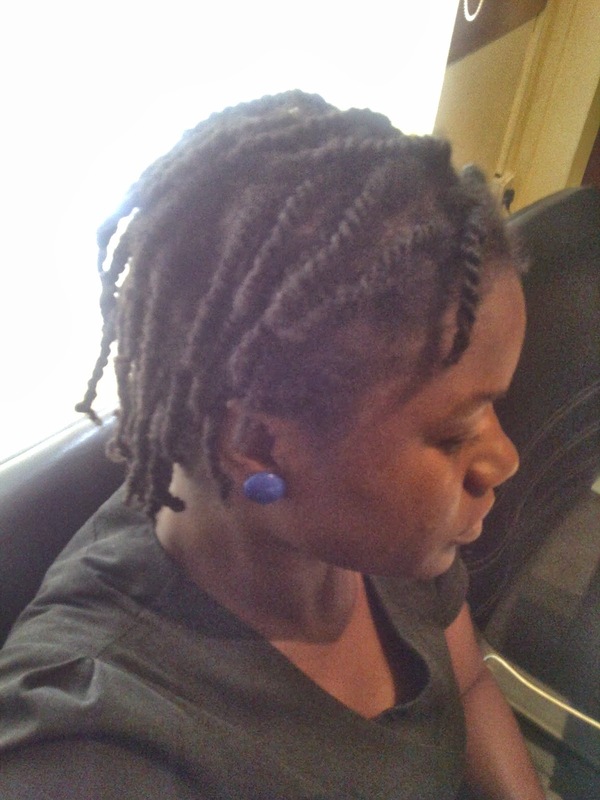 The minute I removed grapeseed oil from my regimen, I hardly ever itch). I trim when necessary. I finger detangle. No poo in a while. I clarify. I hot-oil. 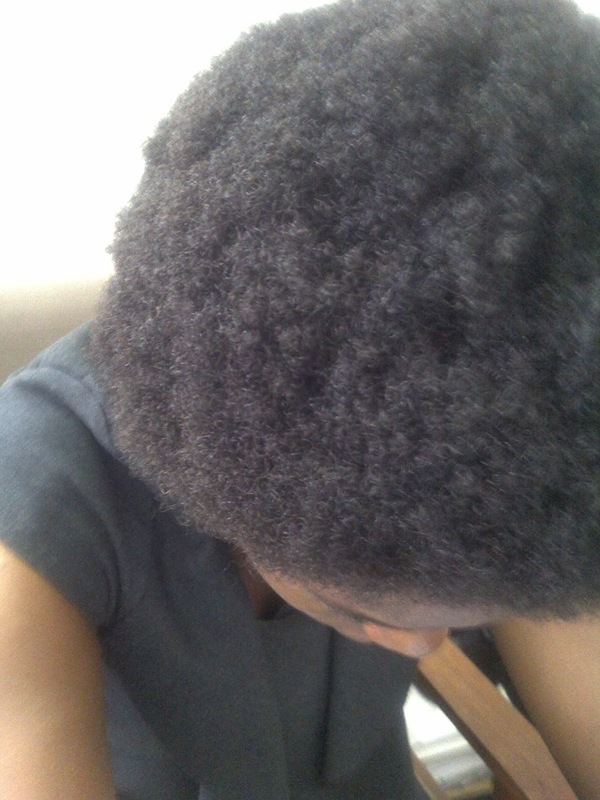 I have reeeeeally soft hair from so much deep-conditioning that I worry that the softness may cause breakage. Lol. Seborrhoiec dermatitis is largely controlled now. When it comes, I use Damatol on my scalp for about a week and the allergy goes. Please, if you suffer from this allergy, I believe you can bend your regimen a bit to allow yourself use mineral oil-lanolin-filled Damatol or any other sulphur equivalent. Damatol works. At least, for me. Oils will not cure it. Afterwards, you can always clarify to remove all build-up. Don't suffer embarrassment and discomfort all because you want to stick to using natural products that won't do jack for you. 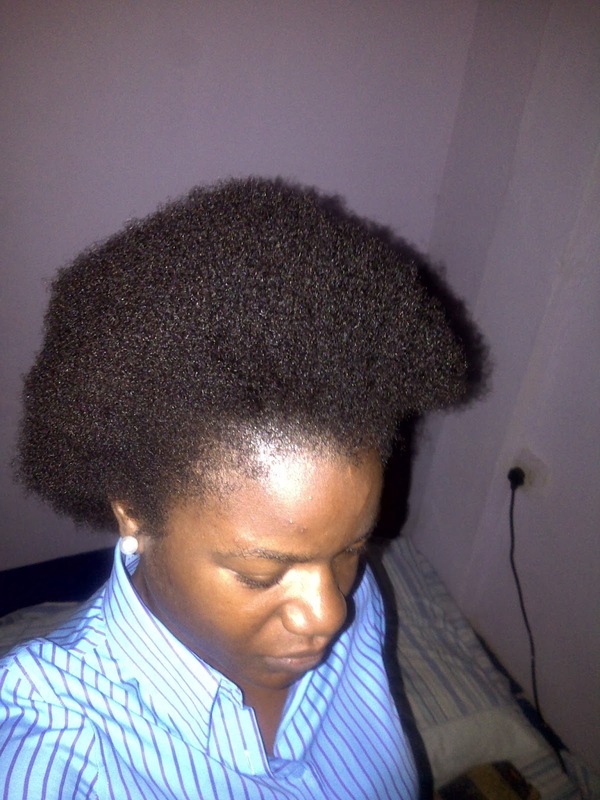 I have fortified my use of castor oil in a bid to regain the hairs I lost during my unfortunate episode with Dudu Osun and to achieve massive volume whether these follicles like it or not. I think I may have low density hair. Some may disagree but I think it may be so. My mum is surprised by it as she keeps saying I used to have a lot of hair. That time must come back. By fire by force. 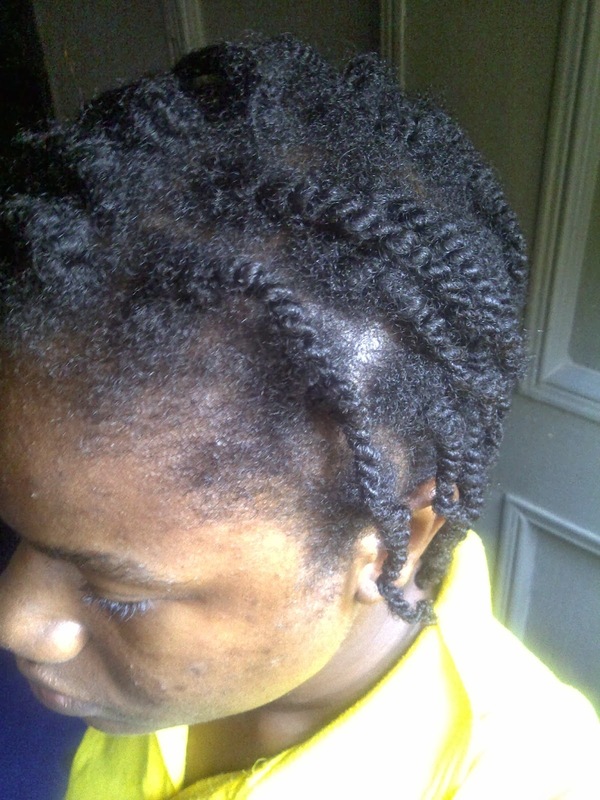 In addition to using castor oil, I have incorporated a scalp massage to my regimen. I do that as I apply the castor oil in. 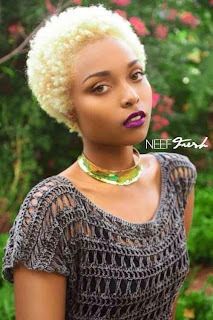 Some bloggers are of the opinion that it does nothing to hair growth while others chorus that it stimulates blood flow to the scalp and thus speeds up hair growth. Whichever is true, I'm not knocking this till I try it. It may just work for me. I realised that during my high-protein diet period, I gained a lot of length. What they say about protein being good for hair is no joke. I'm focusing a lot on eating a lot of protein now to help for further growth. Still working to achieve great hair. Not too happy right now. All ramblings cut short, I'm going straight to the point. African Black Soap (ABS) really isn't a miracle product afterall. DO NOT believe the hype. I used it and I have lost lots of hair! It was after I had this mishap that I realised I had previously had some misfortune with black soap/Dudu Osun. Ok, I shall do a bit of story-story. What's my blog without some story though? Remember I told you a little while back about my battle with eczema? Several years back when I was in the university, I was battling the skin allergy all over again. Because my body always built (builds) a resistance to any product that worked against the allergy after some successes, that period, I tried using Dudu Osun, a black soap made in Nigeria. Don't get me wrong. ABS is naturally good. 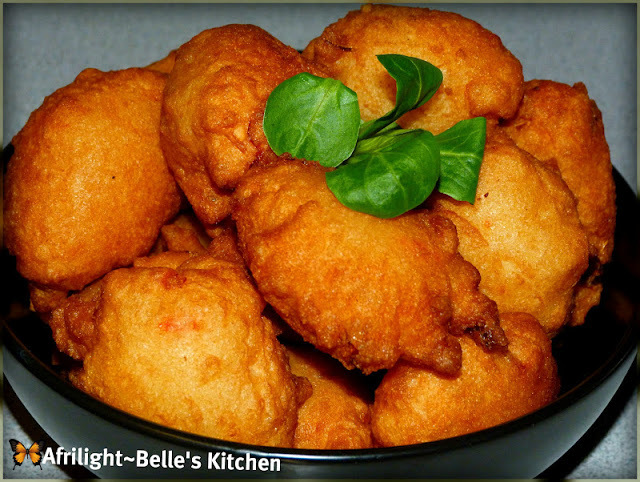 It is made from purely natural ingredients and is indigenous to many tribes that run along West Africa. It has always been known traditionally to cure skin ailments. When I was a kid, I used locally made black soap while bathing severally until it stopped working to stop the eczema and my mum moved to other alternatives. Back to uni days. 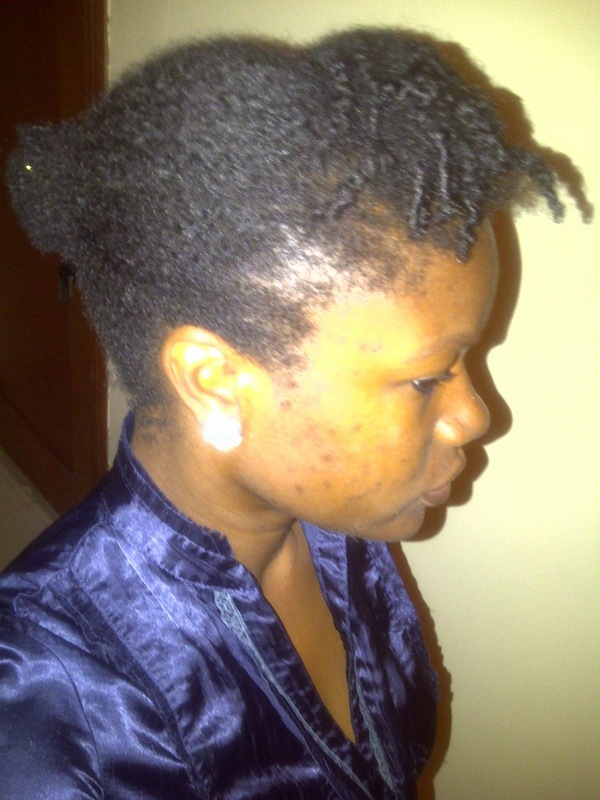 I used Dudu Osun (a packaged brand of black soap) in the hope of helping my skin allergy. It worked. Then stopped. After about 4 weeks of continuous use, the eczema was back with even more force than I had before I used the soap. I was confused. I went to the school pharmacy and saw the pharmacist and asked her to recommend me something else I could use. I told her about my experience with the Dudu Osun. That was when she warned me against using black soap. She told me in layman terms that the contents were too strong for many skin types and that it can be so drying that it robs your skin of moisture and kills the healthy bacteria on your skin's surface. As a result, your skin is not protected against allergies. She further warned me off antiseptic/medicated and strong smelling soaps. Fast forward to 7 weeks ago. I had ran out of my Hawaiian Silk Shampoo. After an unsuccessful search about town for a non-sulphate shampoo, I looked to Youtube and the Worldwide web. 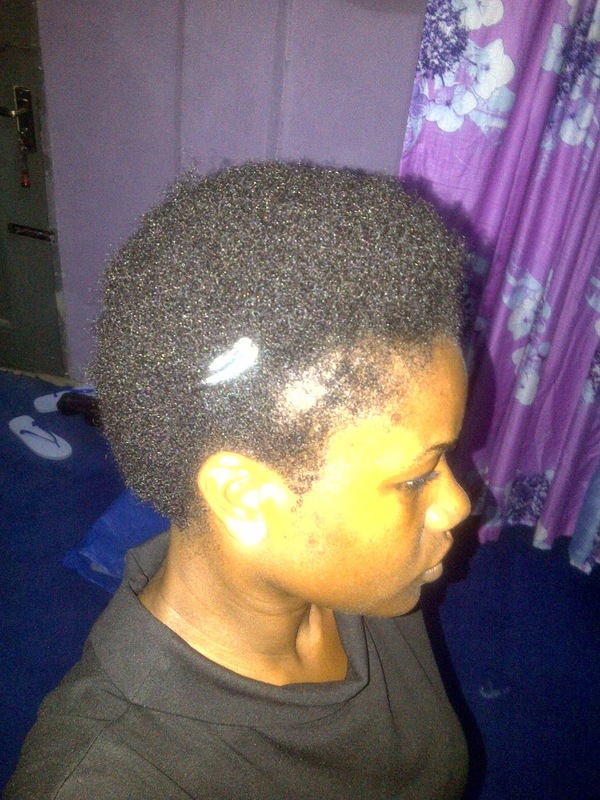 I saw lots of roving reports on the wonders of Dudu Osun or African Black soap on natural hair. I had totally forgotten the warning I had been given about the soap and if I had remembered, I'm pretty sure I'd probably have excused it as skin being different from hair. 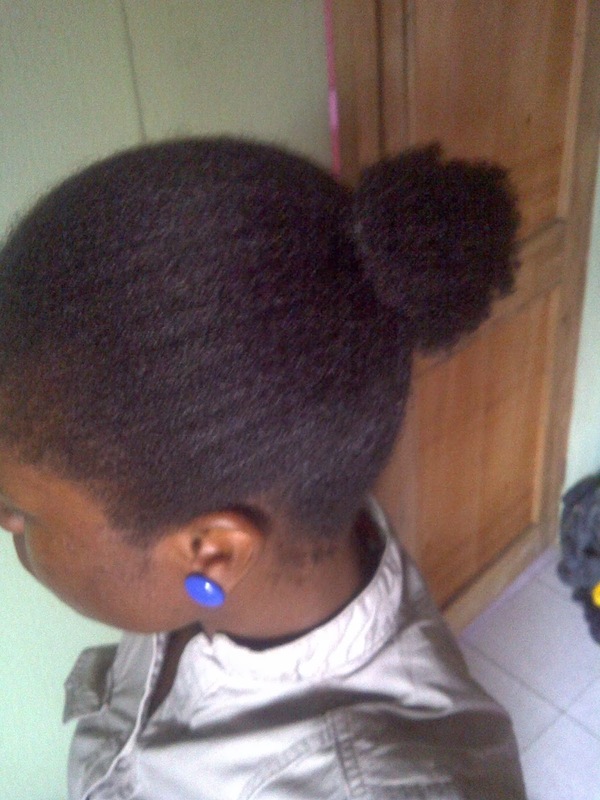 I used Dudu Osun to wash my hair. I even planned to do a review on it but I got lazy. I noticed that the soap washed out my hair a lot. Perhaps too much. I noticed a squeakiness to my hair after the wash. What I mean is, it was so squeaky clean that I felt my hair had lost all of its natural oils. It left my hair feeling stripped but I didn't want to think too much of it. 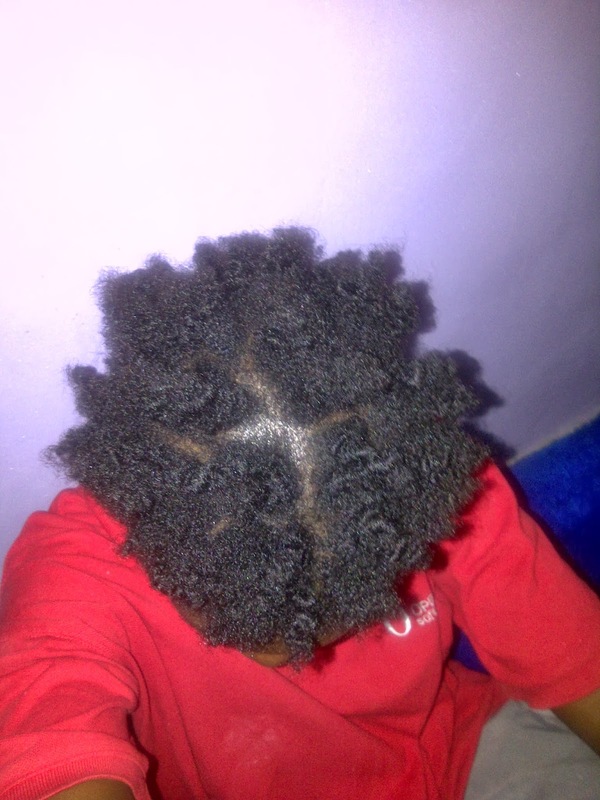 I moisturised and afterwards, got weaves in for protective styling. The weave was in for the next 3 weeks. I noticed my scalp itched from day one of installing the weave but I was too stubborn and the thought of the money I spent on it kept the hair in for 3 and a half weeks. I removed the weave. 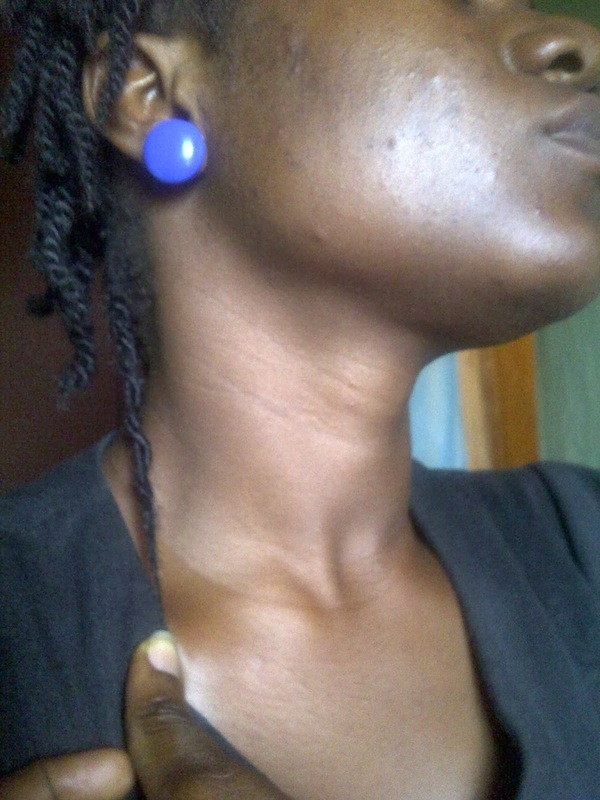 In the process of loosening the cornrows, I noticed a good number of hairs coming out. I put it down to shed hair. 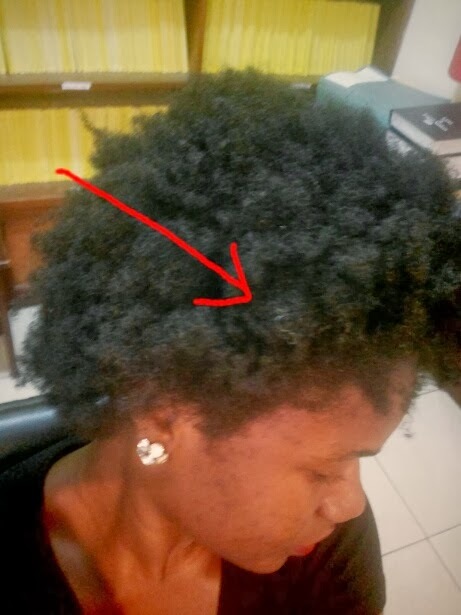 Although I wasn't sure if shed hair was hair from the roots/scalp or if it was broken midway as I noticed these hair strands seemed to be coming off the roots. When I got into the bathroom to washed the hair, I used the Dudu Osun again. Mistake number 2. During the wash, my hair started coming off with alarming volume. I mean my hair was falling off. Every time I put my fingers into the hair, it came away with hairs from my roots. 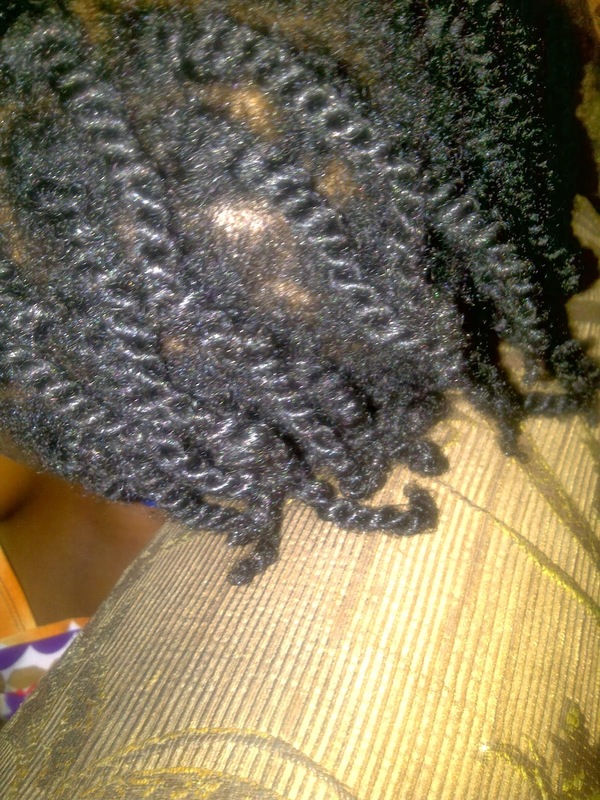 Full complete strands! I was really concerned. I couldn't take any photos because I was immediately dropping the hairs into the WC as they were coming off. 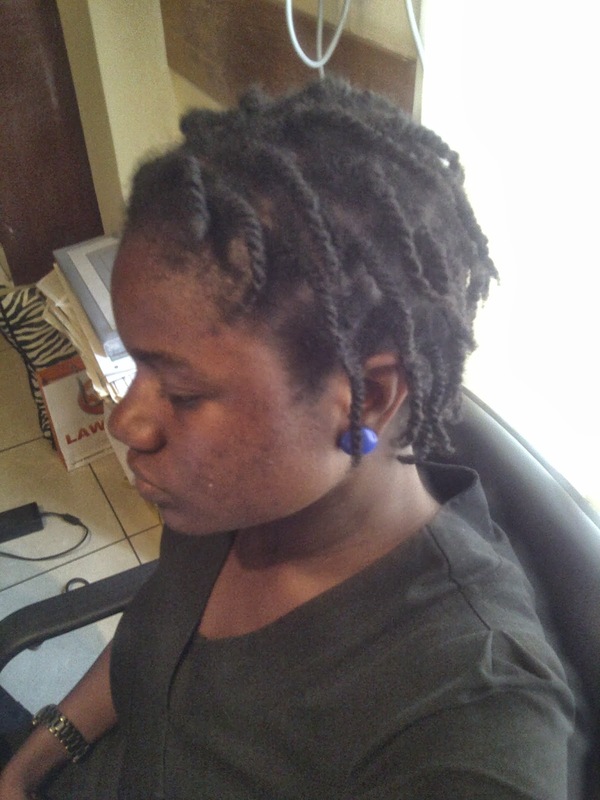 I did the LOC method after the wash and braided (read calabarised) the hair in sections. The next morning, when I combed out the hair, it had become really obvious that I had lost a lot of hair. I found that none of the product I had put in the hair had penetrated. The hair was remarkably dry. 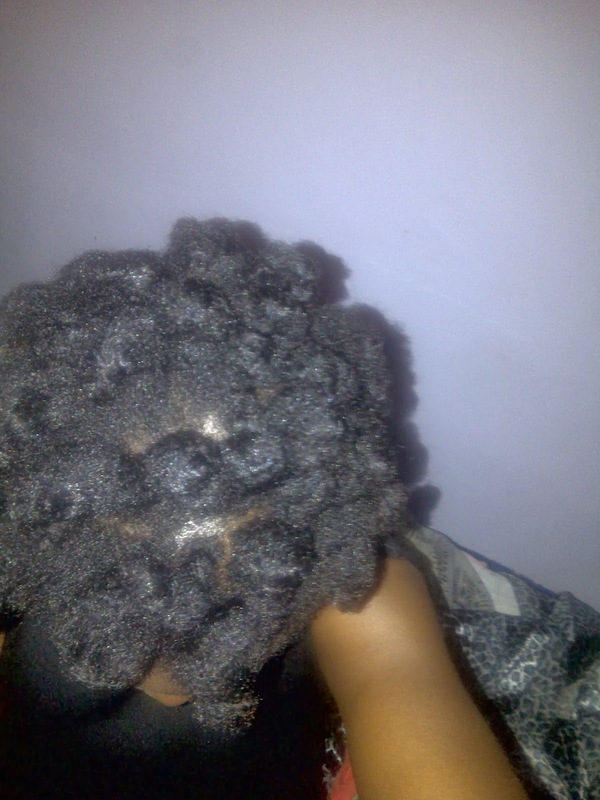 So dry that when I separated the hair apart, my scalp hurt a lot. I found that although I had lost hair all over my head, a lot of the lost hair was concentrated at the top left part of my head. I could see my scalp through my hair. 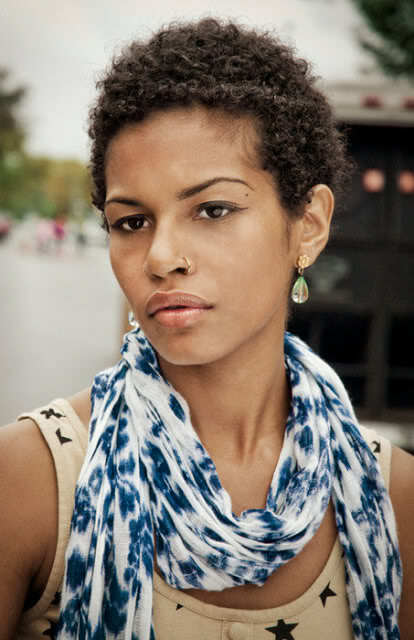 My hair had grown in length but I had lost a lot of volume. I freaked out actually. I was scared that it was something deeper that was only showing itself through my falling/uprooting hair. I consulted my doctor immediately. First question he asked after my freaking out was "Did you change your soap/shampoo recently?" I told him I did but I further told him I was sure that wasn't the issue. He insisted it was very likely the soap and told me to stop using the black soap and watch for the next 3weeks and then return to him. Honestly, I thought my doctor was just trying to get rid of me because he believes I'm a hypochondriac (rolling my eyes). I told my sister and she told me too that it had to be the soap and she reminded me that black soap is very drying and that was what probably happened. This was when I remembered my previous experience with Black soap. I immediately went in search of some not so positive review on Black soap or Dudu Osun. That was when I came across this video: http://www.youtube.com/watch?gl=NG&hl=en-GB&v=HA7NkyUffQ8 (I tried to copy the video here but it refused). Thanks to DuchessGabrielle, I have been able to discover that black soap has a high alkaline content with a pH10! This is incredibly high and drying as the human hair and skin are about a pH4.5 - pH5! I was really stomped. At this stage, I have decided to mostly leave the hair alone. (Maybe?) I am just generally weak and tired. This hair journey is filled with so many thrills and plummets. It's sad, really. But then, what can I do? I just know this is it for me and black soap of any kind. Major lesson learned from all of these? Where it works for the majority, watch out. You may be the minority. Black soap obviously works for most people. Next time, I'd reduce my adventures to other areas of my life, leaving my hair. Stay beautiful and be cautious when trying out new products. 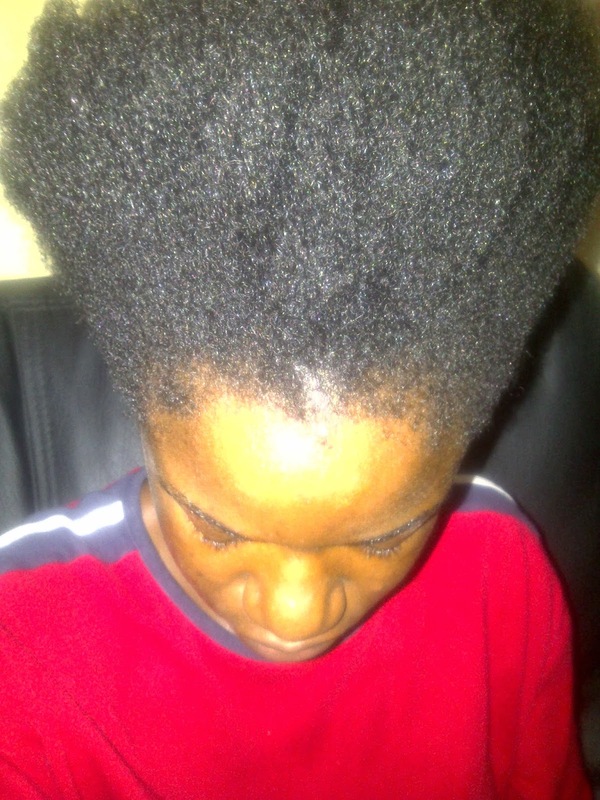 PS: 3 weeks have passed since this incidence and the hair loss has stopped and my hair is back to absorbing products. Needless to say I am back to battling Seborrhoeic dermatitis. My doctor and sister were right. It was the Black soap that caused it. PSS: In my talk of leaving my hair alone, I have planned for about 2 months to do a henna conditioning highlight to my hair. I have planned it for this long. I will still do this. Just a little more cautiously. What can I say? I love to do stuff with my hair. 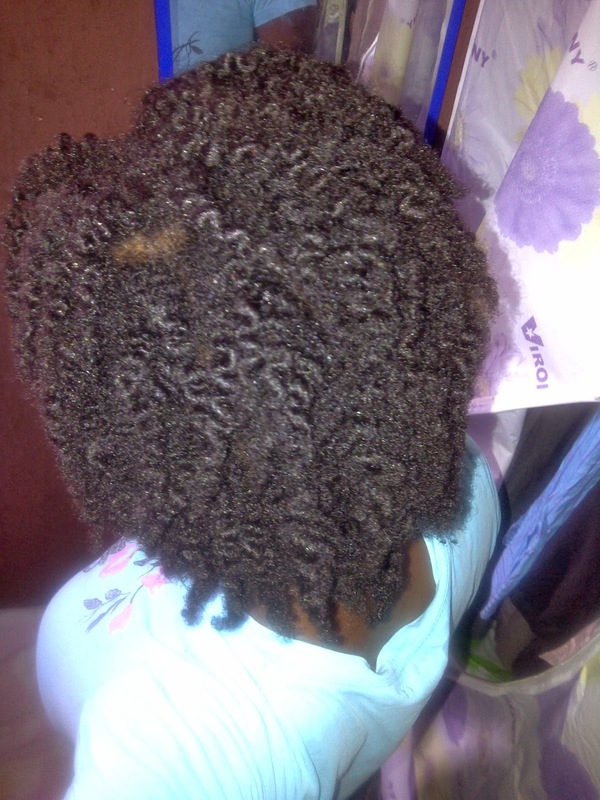 So I was finally able to persuade my sister to write a post on Crochet Braids. She's a pro at it and does it very often. 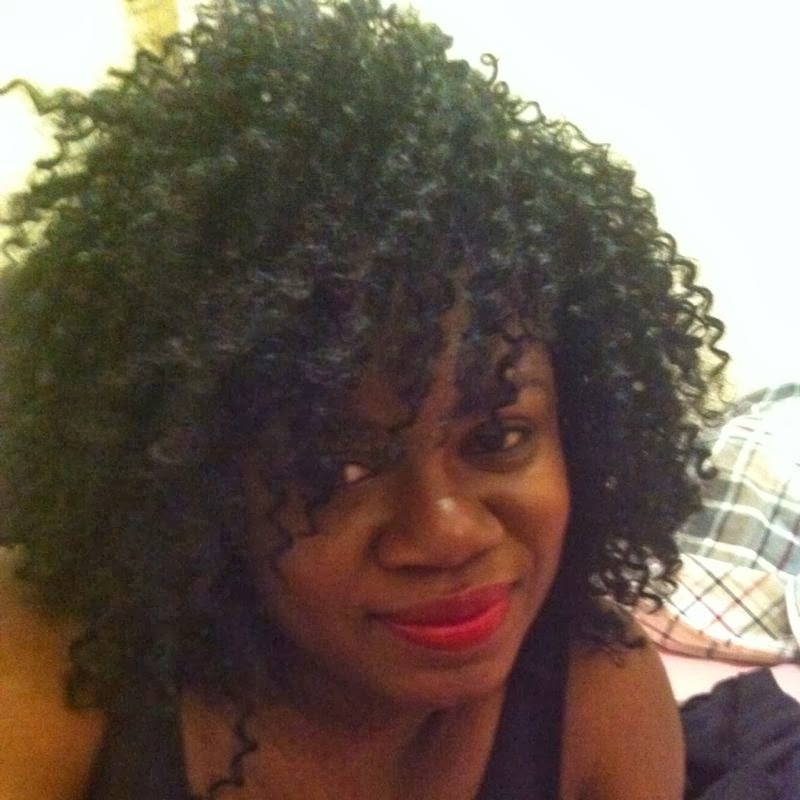 Crochet Braids is an ideal protective style for those who desire weaves but still want to be able to maintain their hair beneath the weave. Happy reading. (My sister's a much better writer than I am, by the way). name is Feyisope. 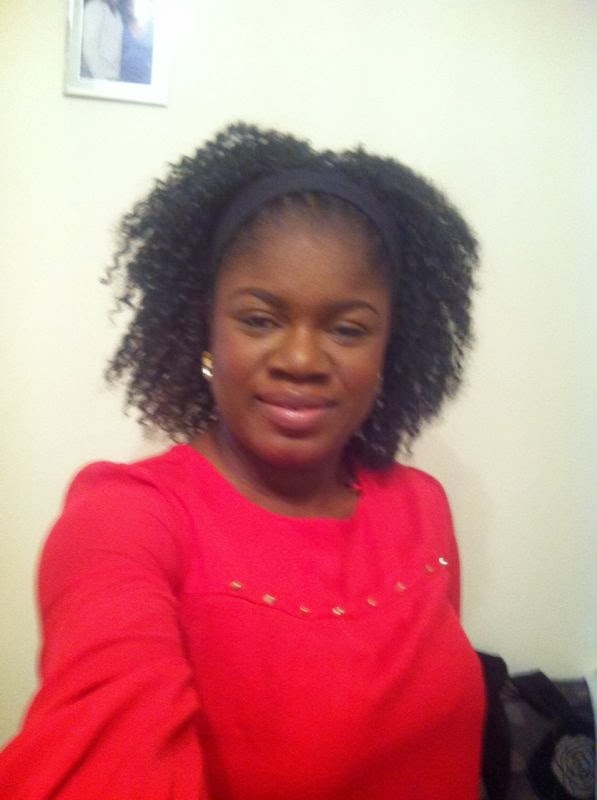 My sister has requested me to write up something for you guys on Crochet braids. I’ll do my best not to get you bored (fingers crossed) Here we go! 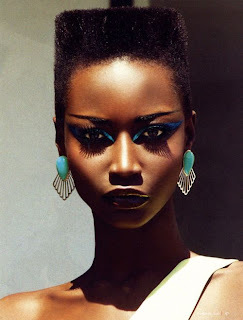 and I wanted to make hairstyles that still looked stylish and I didn’t have to break a bank to do them. slightly different from the regular ones. 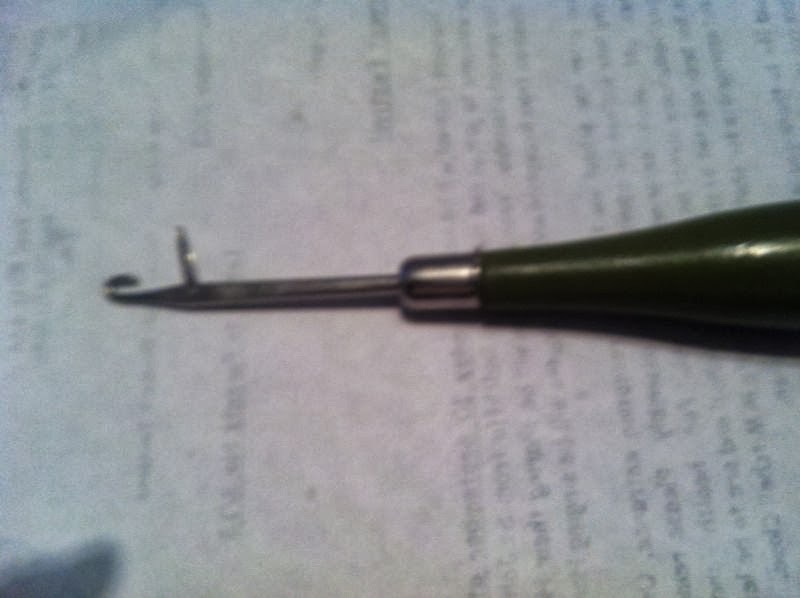 It’s got a small latch that opens and closes. 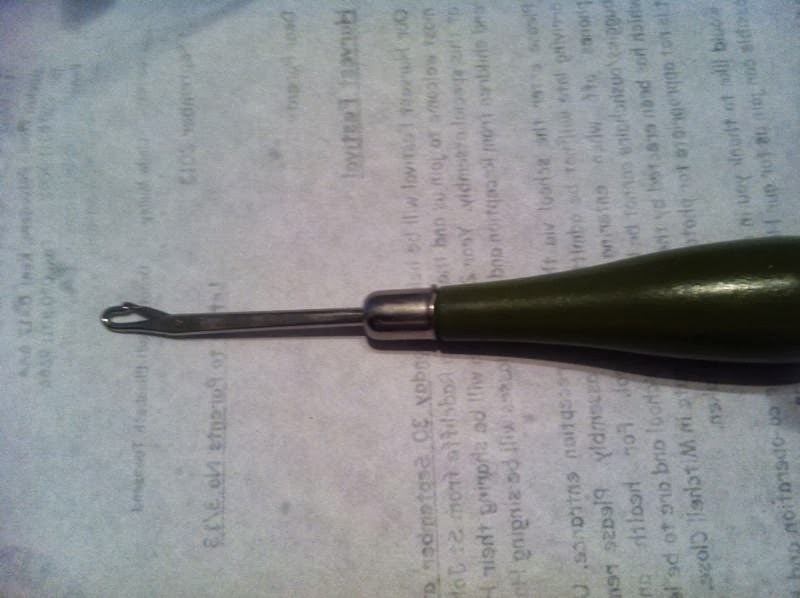 Got it on eBay. until you cover all the lines. and sometimes I would pack it all up into a big bun. This is my way and that’s what works for me. Here's a good tutorial video you can watch to guide you as well. For about 5 weeks now, I have been on a high protein diet. I started noticing that my jeans were a bit tighter and my shirts were becoming harder to button. My waistline was beginning to expand, my forearms were getting flabby and my thighs were beginning to strain. The breaking point was when someone told me I was "now fat". 'Fat' is such a nasty word. It has such a negative effect on many people. Me, inclusive. Most annoyingly was the fact that my friend's idea of me being fat was that I was no longer the UK size 8 I used to be but was now a size 10. It pissed me off but it still ended up having the same negative effect on me and made me decide to look into getting back my previous weight. I chose to go on a high protein diet to lose this weight. You may wonder why I didn't just start exercising. Well, I used to have an active exercise routine years ago just for the purpose of having a healthy lifestyle. This exercise routine actually consisted mostly of long walks, runs and jogs. 2 years ago, on my way to work one random morning in May, I suffered an incident. I had Meniscal Injury on my left knee. This led me to 6 weeks with my entire left leg put up in a caste. After this was weeks of crutches then walking sticks and physiotherapy. My doctor gave strict instructions: No running, no long walks, no jogging (he didn't even know I was already doing this in my exercise routine), no heels too (annoying because I had just before this incident considered embracing my feminine side and take up wearing heels. I had bought some heels too). He, however, said I could swim. I thought these instructions of limited cardio were only temporary till the pain was gone. However, I have found that if I were to run now, or walk long journeys, my knee begins to throb in pain. Weeks ago, I tried some aerobics in the comfort of my home. I soon found that it is almost impossible to find any exercise that works on the thighs and legs that will work without the knees. My knee was in pain by the 3rd day. As a result, I turned to a diet plan. Here's how my dietary plan is. It is just mostly protein. In fact, in the first week, it was only protein. Almost no fats, zero carbs and very little vegetables. By the 2nd week, I incorporated vegetables. It is not an Atkins diets because I do no fats or sugars. And it is hardly the High-Protein diet because I haven't done much carbs and my protein intake is definitely more than 30% daily. But I have eaten some during outings. What makes this dietary plan extra different for me is the fact that I'm off dairy products and nuts. *sigh* This is so complicated. Yes, I know dairy is protein. I found about 7weeks ago that dairy products make me break out excessively. It is like fuel to my pimples. I can't believe I'm just finding that out. I always knew that butter/margarine and nuts made me break out so I kept away from them. But during the months when I was recuperating from Meniscal Injury, perhaps as a side effect of the numerous medication I was on, I developed a lot of pimples. This never passed even when I went off medication. So now, I am battling LOTS of pimples, blackheads, acne scars. Things I only used to have occasionally or when Aunt Flo came visiting. So, recently, I found that milk, yoghurt and cheese which I used to really indulge in were added culprits. Add groundnut, almonds, pistachios etc to that mix. This narrows even further my meals for the diet. I know Nigeria is particularly limiting on a diet such as this. We boast a variety of carbs more readily than a variety of protein. If you have been having a difficult time finding proteinous meals for a diet, here are a few I have found that you can incorporate into your plan. 2. Moi-moi. Of course! Fantastic beans pudding loved by many. 3. Fish meal. 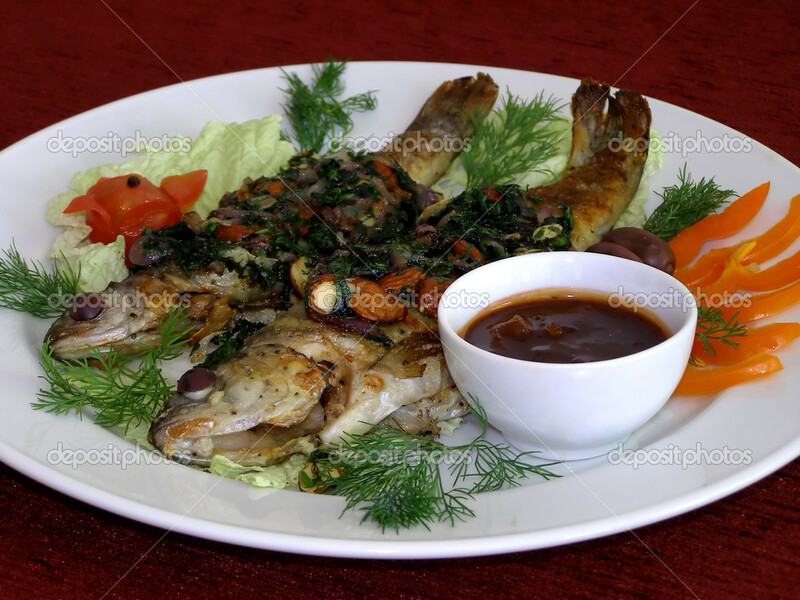 This could be fish in a sauce or fish steamed in spices. 4. 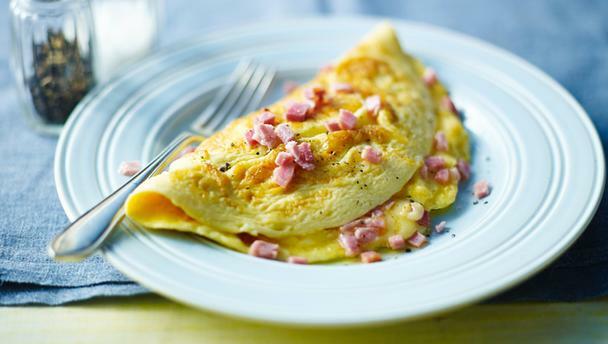 An Omelette. I didn't know one could have this as a normal meal until the day I visited my Polish friend and she served me an omelette with nothing else. I just went "where is the bread?". Of course. I'm Nigerian! To me, it was plain fried egg and needed something to go along with it. She laughed and said it was a meal. I was surprised but I enjoyed it still. 5. 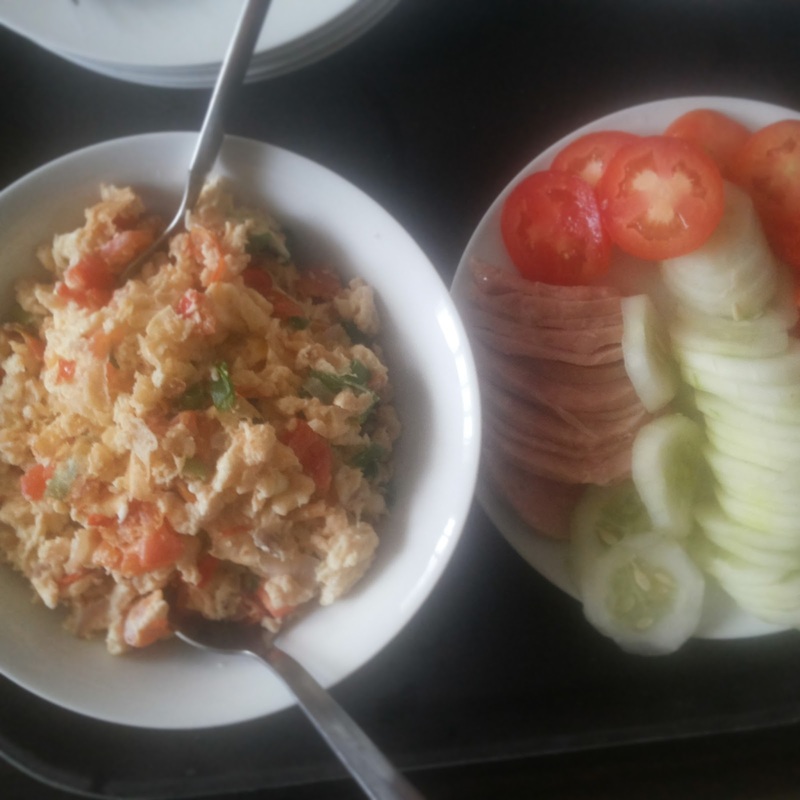 Scrambled Egg & Wheat Bread. 6. Akara. Fantastic bean cakes. 7. 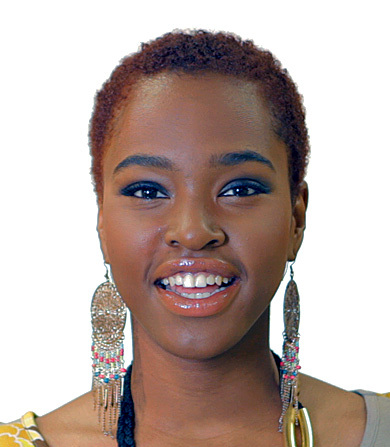 Ewa Agoyin. 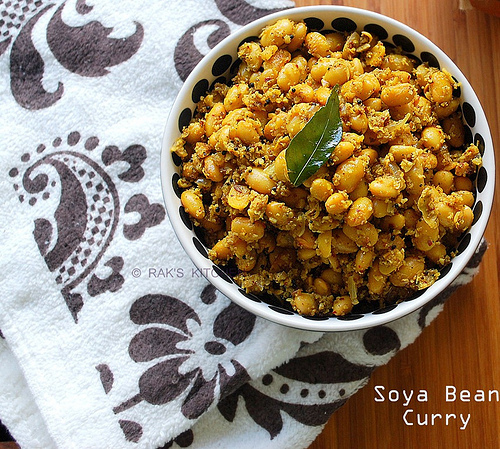 If you haven't tried this, you certainly should. Easy to make too. 8. Gbegiri Soup. This is a soup made from beans. Very proteinous. The Nigerian in me doesn't believe you can drink this alone. You can tilt your plan a bit and have it with some wheat or you can just plain have it with fish! 9. 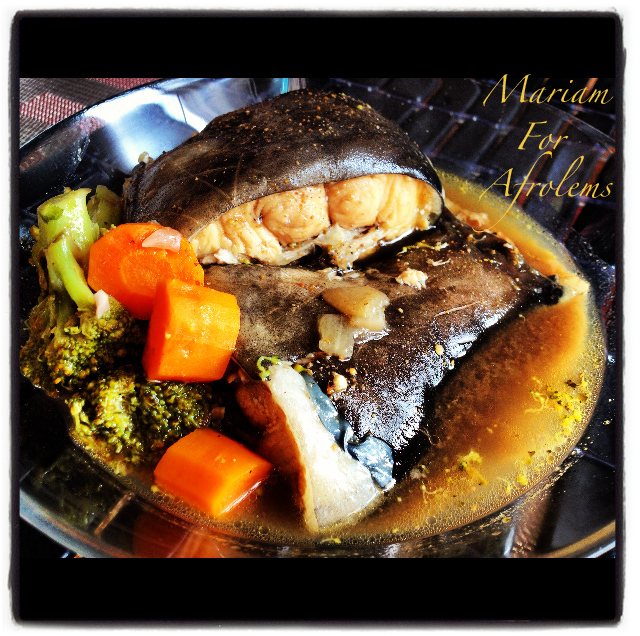 Fish or Chicken or beef Peppersoup. 10. Shredded Chicken in Vegetable Stir fry. Very high in protein and vitamins from the veggie. 11. Chicken Cabbage Soup. 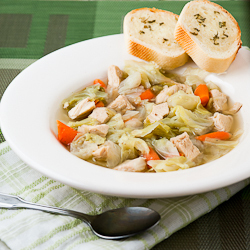 Cabbage soup is very nutritious but for that added protein punch, add some shredded chicken to the mix. 12. Soyabeans porridge. I used to have this as a child. I hated it though. My mum cooked soyabeans like the regular beans porridge. This was after soaking the beans and peeling the skin. 13. Smoothie with Soyamilk. Because I am off dairy products, I have substituted my regular milk with soyamilk or coconut milk. Preferably, try making yours. It's not hard. 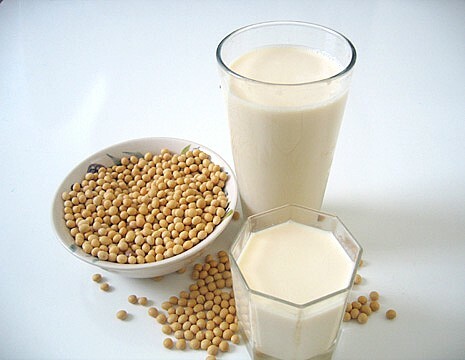 Many of the soymilk being sold here have a little percent of cow's milk contained therein. 14. Soyabeans egusi soup. Yes, believe it or not, soyabeans is used to make egusi soup and this is indigenous to some parts of Ekiti and Ondo. 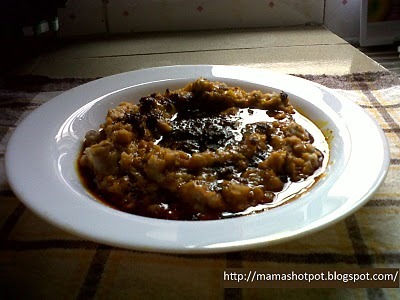 Instead of the melons in the egusi soup, you use soya flour. So there. Do note that there are some downsides to this dietary plan. About 3 weeks into the plan, I noticed extreme weakness and fatigue I had to start incorporating a bit of carbs into my diet. This is not a long term dietary plan. I am not even endorsing it. This post is just a help for a search for protein-filled meals in this carb-dominated side of the world. I am glad to say that I am back to being a UK size 8 and tummies are flat again! ^_^ No, I have no pictures because this is not a post on my 'weight loss journey'. I don't miss the carbs as much as I thought I would. It's the dairy products I truly miss. Know of any other meals that are high in protein as well? 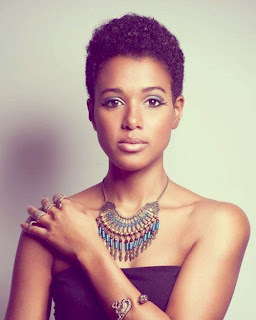 So, it would seem that recently, a few friends are considering the Big Chop and rocking a TWA (Teeny Weeny Afro) but are not quite certain. 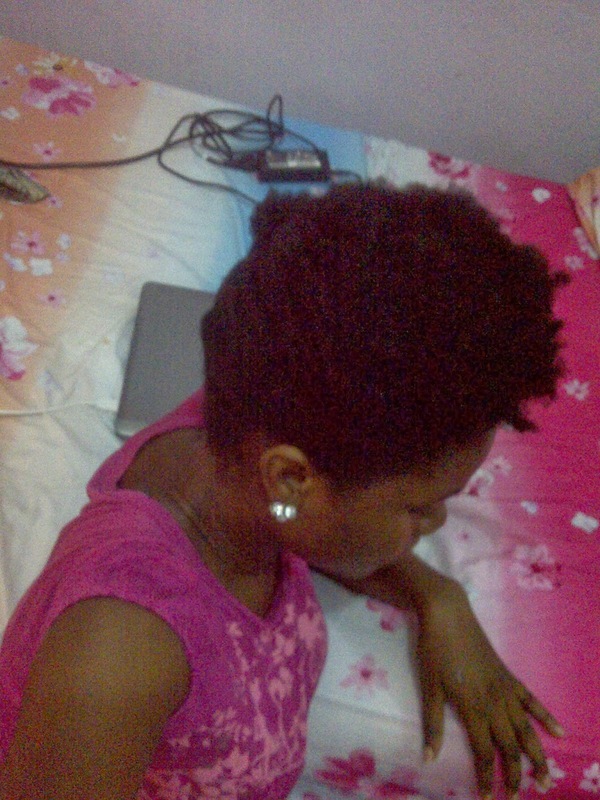 Notice I said Big Chop and not 'Going natural'? Well, 1 or 2 are "not sure if they want to do that whole high maintenance of natural hair" but they have been experiencing some hair damage and want to start again even if with perm. A whole new look! Let people be surprised when they see you. You'd relish it. 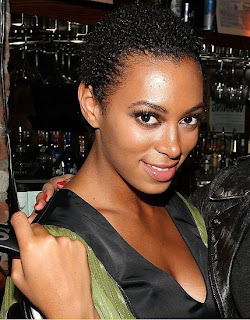 'Fresh breeze' can finally touch your scalp. Believe me, that feeling is out of this world. You can be taking a shower and easily point that shower head straight on your hair. Clean hair all the time! Relates to 3. Hair is easier to wash, moisturise, touch etc. at that stage. Hair care is a breeze. You get the chance to finally see how beautiful you can be without a lot of hair. 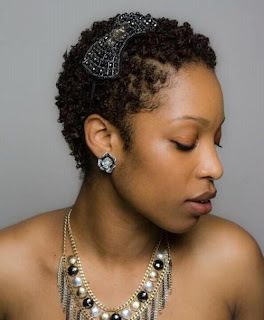 Put that saying about 'the hair being the crowning glory (or is it beauty) of a woman' to the test. You are beautiful beyond hair. More time to focus on other stuff. Wash and Gos are your staple. After all of these, I'm so tempted to go back to having a TWA again. So stressless *sigh*. Are you not convince now? No? No??? 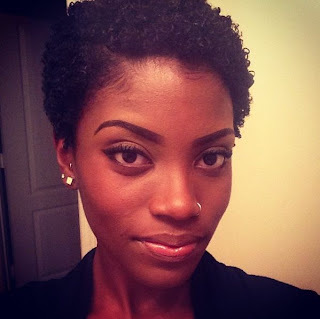 Stay beautiful and Big Chop...maybe! Email me New Posts Already!!! Shredded Chicken with Vegetable Stir-Fry Sauce - Let's Do Chinese! What Type of Friends Do You Keep? Who is in your circle? This is my personal blog. The information contained herein is my personal opinion. Awesome Inc. theme. Theme images by MvH. Powered by Blogger.